Granite Countertops is a great option for any kitchen project. When choosing coatings for a particular environment in a home, many people search for low prices and appearance of the materials. Before you choose the perfect countertop for your kitchen, there are many factors that influence how you work on each material. In the kitchen, for example, the stones have become increasingly famous for the ease of cleaning and good aesthetics they provide to a space. Among the most used, granite countertops is highlighted by the diversity colors and textures at affordable prices. Granite is a relatively easy stone to work with, so your kitchen countertop finish is smooth and even. This feature ensures greater ease at the time of cleaning, with no worries about possible grooves or roughness. As kitchen liners are often places used for the preparation and handling of food, it is crucial to choose a material that stays clean for longer. Granite is a relatively easy stone to work with, so your kitchen countertop finish is smooth and even. This feature ensures greater ease at the time of cleaning, with no worries about possible grooves or roughness. Granite is a very porous and very stiff stone, which makes it very resistant against scratches, scratches and even abrasive products. As a result, it is a material of great durability and has utility both indoors and outdoors in homes. If the idea is to use granite on your kitchen countertop, you can be sure that it will have quality material, but be very careful when installing it to prevent breakage or cracking. 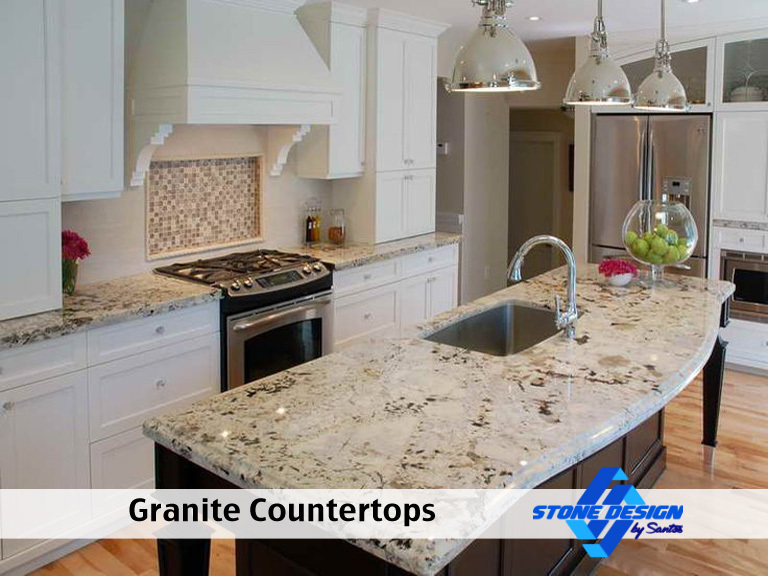 Do you know what type of Granite Countertops you are looking for?